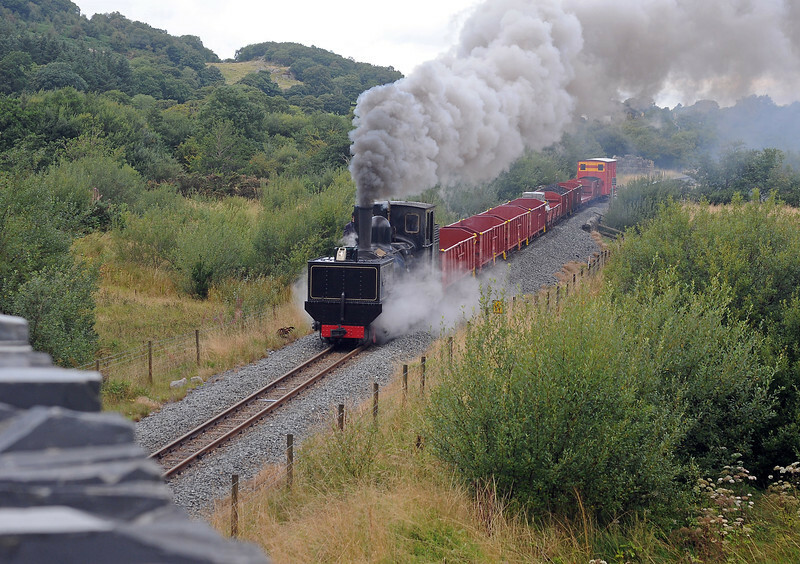 It was slightly brighter and drier some 55 minutes later when pioneer Garratt, K1 between Waunfaur and Betws Garmon on one of the days two demonstration freights. K1 has been under repair for some time, the last time I saw it in service was February 2011. Great to see it back in action.